When you start a blog, or even when you’ve been blogging for a while, there will come a day when you think about speeding up your productivity and success. WordPress already offers a ton of useful features and flexibility. However, there are still some functions you might be missing, or you’ve never even thought about yet. There are several basic WordPress plugins that may help to improve your blogs’ performance and success. There is everything from SEO to sharing your posts on social media, email marketing, and analytics. Technical optimization of your blog by cleaning up trash and unnecessary data. Cache for faster loading times and a better user experience. Anti-Spam functions to prevent spam comments and trackbacks. Search engine optimization for pages and posts with kewords, meta tags and descriptions. Search engine options for your images. Image optimization for a faster loading. Broken links checker for a better user experience. Redirection of broken or outdated links. Related posts to keep your readers on your site. Contact forms for your website visitors. Blog, email and newsletter subscriptions for listbuilding, lead generation and customer loyalty. Social media buttons, social login and social comments to connect your blog to your social networks. Social media automation to schedule, share and cross-promote your blog posts on social media. Reporting and analysis of your actions and performance. Having tried hundreds of WordPress plugins ever since we ‘ve been using WordPress, we’ve shortlisted the ones we really use on our blogs an put them into a concise basic “15 Best of WordPress Plugins” list. So here is a compact selection of essential plugins, that may help you to kickstart your blog and boost your productivity. All of them are free, some offer premium options for more features and flexibility worth looking at. Quality content is the most important success factor for a blog. But, you also need to understand the importance of streamlining your blog for speed and performance for a better user experience, and to improve your content with SEO-friendly features. 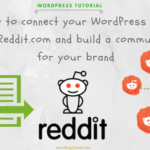 You will need to connect your blog to your social media channels to share your posts for more reach and to engage with your readers. And you will also need to stay in touch with your readers by offering contact forms, social comments and follow-up with email lists and blog subscriptions. More importantly, you will have to analyze your activities to see what works best in order to improve your efforts and success. The following selection of plugins will help you to streamline your blog performance, getting rid of unnecessary manual workload and thus leave you with more time for creating awesome content for your blog. Autoptimize is a basic plugin that helps you keep your blog running smoothly by constantly cleaning out your trash and removing redundant, unnecessary and superfluous data. It also squeezes your database tables to a minimum, cleans out old post revisions and cleaning unapproved comments. By not letting extra data build up on your site, your blog will run faster and perform much better for your audience. Check out the Autoptimize plugin for your blog. Another basic performance tool that improves your website and helps you deliver a better user experience for your blog audience. The plugin improves your site by increasing server performance, reducing download times and providing transparent content delivery network (CDN) integration. This is basically done by generating static HTML files from your dynamic WordPress blog. After a HTML file is generated your webserver will serve that file instead of processing the comparatively heavier and more expensive WordPress PHP scripts. Check out the WP Super Cache plugin for your blog. Once you have launched your blog, you can be sure to get spam comments and this will become pretty annoying. And, you will also get in touch with trackback spam. A trackback is also a kind of comment to notify that someone has linked your post on their site. Trackbacks are great for networking with other bloggers, but unfortunately, they are also very attractive for spammers. One solution to defend spammers is to deactivate the comment and trackback functions on your blog. But this will deprive you of the opportunity to engage with your readers and connect with other bloggers. The plugin Antispam Bee blocks spammy comments and trackbacks effectively, without using captchas. The plugin detects spam based on checking incoming comments and trackbacks against public databases and typical spam comment structures as well as a local database for comments previously marked as spam. Thus, it eliminates spam comments by automatically reviewing and filtering your comments but lets you keep control of which comments are displayed and which comments are caught and cleared under your blog’s “Comments” tab. Cleaning out spam regularly speeds up your site and saves space in your blog’s database. Thus, Antispam Bee is a very useful plugin, doing all the dirty work for you and saves your time for getting rid of annoying spammers. Check out the Antispam Bee plugin for your blog. Regular backups of your site and data save you in case your site gets hacked or you accidentally lock yourself out. The Updraft Plus WordPress Backup Plugin enables backups and restoration of your files and database. You can backup into the cloud directly to Dropbox, Google Drive, Amazon S3 (or compatible), Rackspace Cloud, DreamObjects, FTP, Openstack Swift, Updraft Vault and email. The paid version also backs up to Microsoft OneDrive, Microsoft Azure, Google Cloud Storage, Backblaze B2, SFTP, SCP, and WebDAV. Check out the Updraft Plus WordPress Backup Plugin for your blog here. First of all, you need to make sure your blog content is SEO friendly to get a good ranking in the search engines. Even if you don’t know much about SEO, Yoast SEO can help you to take care of some very basic aspects, such as focus keyword, permalinks, meta title and description, images, meta tags, text structure, and readability. The plugin will analyze your pages and posts and displays a traffic light which shows you how to optimize your posts before publishing. So you can make sure, each page and post applies to basic SEO rules. The plugin will also add XML sitemaps and breadcrumbs. Check out the Yoast SEO plugin for your blog. The search engines need specific attributes (»alt« and also »title«) to index your images. And images can have a huge impact on the ranking of your blog. These attributes are also required to get a W3C valid website. The PB SEO Friendly Images automatically updates all images with proper ALT and TITLE attributes for SEO purposes. It helps you to automatically optimize all »alt« and »title« attributes of images in your posts. This makes the posts W3C/xHTML valid as well. The plugin works for all your images in posts and your post’s thumbnails as well. You can sync existing »alt« to »title« and vice versa or override them with a custom scheme. Check out the PB SEO friendly images for your blog. Large images can reduce your page speed and this is extremely harmful to your ranking and conversion and it will cost storage and bandwidth. The EWWW plugin will automatically optimize new images that you upload, it can also optimize all the images that you have already uploaded, and optionally convert your images to the best file format. You can choose pixel perfect compression or high compression options that have no impact on the beauty of your images. Check out the EWWW image optimizer plugin for your blog. Broken links lead to a poor user experience for your readers and can impact your ranking. The search engines dislike bad user experience caused by broken links. The Broken Link Checker plugin will constantly monitor your blog looking for broken links and notifies you by email or via the dashboard when it detects links that don’t work, missing images and redirects. 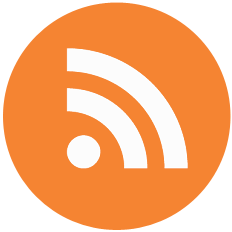 Links can be edited directly from the plugin’s page, without manually updating each post. The Redirection plugin helps you to fix 404 errors caused by broken links, by building 301 redirects automatically. It monitors your blog for 404 errors as soon as they are generated and flags them accordingly. It automatically redirects a post when its URL changes. You can also manually add 301 redirects for whatever you want. Check out the Redirection plugin for your blog. When visitors land on your site, you want to make them stay as long as possible and browse your content and keep on reading. Related links with thumbnail images of related posts improve CTR. This Related Posts Thumbnails Plugin allows customizing thumbnail sizes, display settings, and type of relation. Thumbnails are arranged in columns under the post with related posts title/excerpt under each post thumbnail. You can customize background color, border, text, text sizes, background on mouseover, title and excerpt length. By default, the plugin uses the first image appeared in the post. You can select between ‘thumbnail’ and ‘medium’ size options or custom size. The plugin also lets you specify post custom field name to be used as thumbnails source. You can specify the number of related posts to display, start date, categories to show on and to include, top text, style settings, default image URL. And, you can select types of relation – categories, tags, categories and tags, random or custom taxonomies and many other settings. Related Posts thumbnails sidebar widget and shortcode are also available. Check out the Related Posts Thumbnails Plugin for WordPress for your blog. A contact form is an essential and basic feature of your blog to stay in touch with your website visitors. With Contact Form 7 you can easily create contact forms to enable your website visitors to comment on your posts or to get in touch with email. The forms support Ajax-powered submitting, CAPTCHA and Akismet spam filtering. You can customize notification messages and embed forms to specific posts or pages via shortcode. Contact Form 7 also provides file uploads and quizzes. Check out the Contact Form 7 plugin for your blog. Once you managed to get visitors to your blog, you will want to make them come back. An email list is an essential element of any marketing strategy and a good way to build leads, loyalty, and conversion. The easiest way to grab your visitor’s email address is by offering them to subscribe to your blog. A blog subscription or newsletter will hook your visitors to your blog and encourage them to return, whenever you publish a new update or news on your blog. This Email Subscribers and Newsletters plugin lets you easily collect subscribers. It automatically sends updates to your subscriber list, whenever you publish a new post. Email Subscribers and Newsletters is a fully featured subscription plugin that helps you achieve all the things you need to build a subscriber list from your website visitors and keep them engaged. It provides you with a set of tools to collect email addresses, send automated new blog post notification emails, create & send newsletters, and also to manage them all in one single place. Check out the Email Subscribers and Newsletters plugin for your blog. The Super Socializer plugin integrates fully responsive social share buttons from more than 100 social networks and social counts for Facebook, Linkedin, Twitter, Buffer, Reddit, Pinterest, Stumbleupon, and Vkontakte, with multiple free customization options for size, shape, background and logo color, and more. 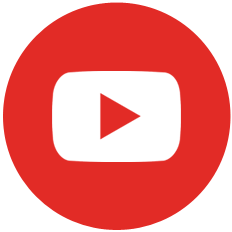 Icons can be positioned at the top or bottom of your content or with horizontal or vertical floating bars. 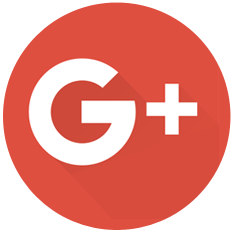 Enable visitors to log in with 9 social network accounts for checkout pages and customer login forms and social comments for Facebook Comments, Google Plus Comments, Disqus Comments. Check out the Super Socializer WordPress Social Share, Social Login and Social Comments Plugin for your blog. WordPress plugin Blog2Social Smart Social Media Automation helps you to schedule and share your post on social media automatically. Don’t wait for others to share your posts. In order to get more outreach for your blog posts, you need to share every post you publish by yourself. Blog2Social is a very powerful tool to schedule, share and cross-promote your blog posts on your social media channels, directly from the dashboard. The plugin auto-posts your blog posts to Facebook (profiles, pages), Twitter, Google+ (profiles, pages, groups), Google my Business, LinkedIn (profiles, pages), XING (profiles, pages, groups), Diigo, VK (profile, pages, groups), Reddit,to Tumblr, Medium, Torial and Bloglovin for re-publishing your post, as well as your images on Instagram, Flickr and Pinterest. 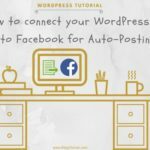 The plugin allows you to auto-post or to customize your posts individually and to schedule your posts to be shared at the best times to post on each network. You can select individual images, post formats. This plugin really saves a lot of time and work every time you publish a new post and helps you to get more outreach for your post in less time. 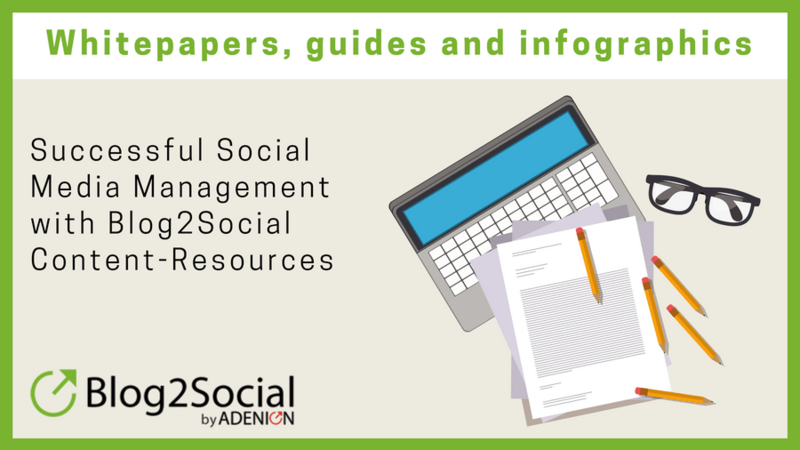 Blog2Social is free to use it for sharing your posts on social media. But you might also find it worth to try the premium version for the more elaborate features. Keeping track of your stats is crucial to get a better grasp of your audiences’ preferences and makes it easier to create content that performs best for your blog. This plugin is certainly not necessary since you can open Google Analytics to look at your blog stats. But it is definitely convenient since the plugin puts those stats right on your WordPress dashboard. If you’re regularly checking your stats on page views and performance of your posts, the plugin helps you keeping track of your stats more quickly and conveniently. Check out the Google Analytics Dashboard plugin for your blog. I hope the list of basic plugins will help you to kickstart and improve your blog. You may also take a look at our collection of The 7 Very Best Social Media Plugins for WordPress Blogs and Websites + 55 Alternatives and 25 Best WordPress Marketing Plugins You Must Have. Now over to you. 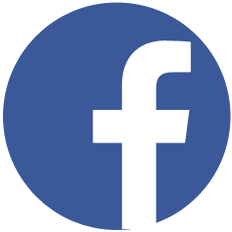 Please let me know what works for you by adding a comment to this post. 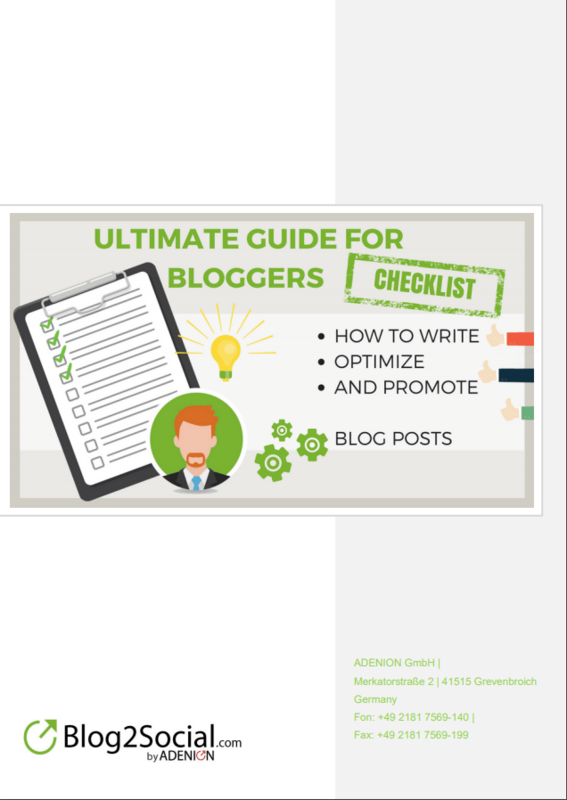 Get the Ultimate Guide for Bloggers for free!